Customers are the prized possessions of a company and of course, a biggest achievement. If a company boasts of enjoying confidence of customers, it certainly brings new business prospects and success. Hence, it is very necessary to be in touch with your customers to understand their requirements. And when it comes to communicate with your customers, email becomes the most efficient and effective way to update your customers with your business horizons. Whatever size of your enterprise is, you cannot afford to ignore the importance of the email mechanism to ensuring effective communication within the company and with external clients. The moment a user registers or inquire about any of your products or services through the website, it becomes unavoidable to communicate with him/her properly. 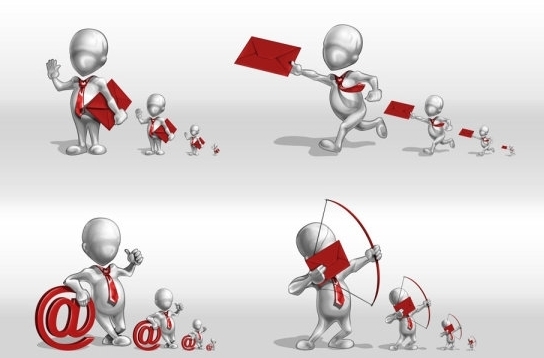 Email Marketing, hence, is an important element to augment any business. Any organization that wants to promote their products or services among visitors, use rigorous email campaigns to ensure the proper communication process. You can simply inform them about your existing products, educate on the new products and services, send your customers manuals, etc. Remember, you are not alone, who are doing the business, but there may be some other people, who might be engaged in similar business. So, the competition is very high and if you cannot keep pace with them, you are going to lose them for sure. Yes, you can use the traditional email clients such as Gmail, Hotmail, Thunderbird, Lotus Notes, Windows Live Mail, Yahoo! Mail, etc, but you may face some issues while dispatching customized newsletter, greetings, brochures, etc to your customers. With every traditional email clients, there are certain CSS limitations, which usually do not allow you execute your email campaigns smoothly. So, it is always advisable to design your emails including brochures, newsletters and others on Photoshop and then convert the same into HTML and CSS. Here, you will have to keep it in mind that the material you convert should be visible in all the browsers. So, PSD Design to HTML conversion ensures your customers email clients understand DIV`s or table-less coding and your newsletters are easily visible on different browsers. PSD to HTML email conversion allows you to convert your simple PSD design into a highly animated HTML emails and newsletters that are sure to attract your customers. Instead of sending boring text mail, it is always interesting to send an animated, dynamic, and web compatible version of the PSD file. Besides, PSD to CSS/email ensures, your emails downloads faster. When your emails are downloaded quickly, it is preferred by search engines and thus ensures SEO-friendliness of your entire email campaigns. It also ensure, your customers, access the website with ease on any browsers. So, a PSD to Email conversion process help you execute an effective email communication with your customers. The communication process is very important to attract customers to increase your business. Hence, you can never afford to underestimate the importance of PSD to Email conversion process. An established PSD to email conversion service provider can give you quality results at affordable rates. You will also save time since they usually have less turnaround time. Conversion service providers have competent testing teams of staff who will ensure that your website is multi-browser compatible. Today, people are accessing the internet through all sorts of gadgets like phones, I pads, desktops, laptops, and many more. Your email should be accessible using all these gadgets. Email addresses that are not cross-browser compatible cannot be accessed using these devices. The process requires a lot of technical knowledge. There are various companies which provide effective PSD to Email Conversion services. You can contact with any of them and get the job done in highly affordable rates.